We all need a little motivation every now and then for any new venture. 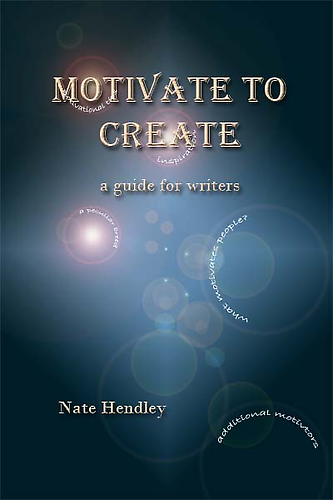 In Motivate to Create, Hendley talks specifically about getting motivated to write and shares tips that work for him. Although writing is his career, he warns people getting starting that it’s not easy. Pay varies significantly for freelance writing assignments and it may not be enough of a salary initially to write full time. Writing on the side for smaller publications is a good way to get started before approaching well-known ones that may pay better. Regardless of where you are in your writing career, it’s important to be open to continual learning. Take writing classes to improve your skills and join appropriate associations so you can learn from others and know more about writing as a career. Doing this will help you build up some credentials. The bottom line is that regardless of how much you prepare and how much you think you know, there will be rejection along the way. Yet, if writing is important to you, never take it personally and never give up. Disclaimer: I received this book for no charge from Five Rivers Publishing in exchange for a review.